WELCOME TO OUR FIFTH SEASON ! Happy new Year ! 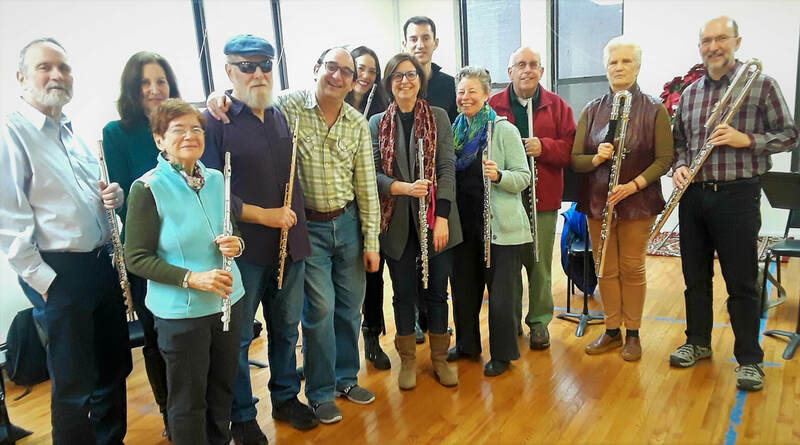 Under the direction of Nicolas DUCHAMP The NEW YORK FLUTE CHOIR meets twice or three times a month. Each session lasts 2 hours. Address: 150 W 46th Street, New York, NY 10036. ​Members of the CHOIR are all dedicated, passionate amateurs. The ambiance is friendly and supportive. We work on a variety of Choir music which aims at strengthening specific goals such as the art of ensemble playing (intonation, musical styles, musical expression) in order to perform several public concerts a year in various venues.